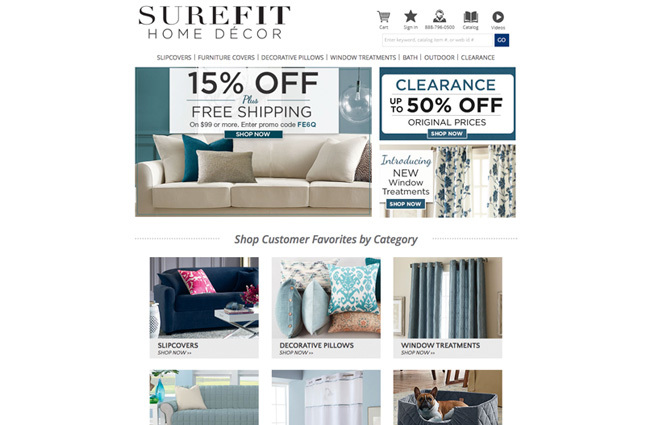 Headquartered in Allentown, Pennsylvania, Sure Fit, Inc. (Sure Fit) is the nation’s leading provider of ready-made slipcovers and related accessories. Its product line includes slipcovers for sofas, loveseats, chairs, recliners, ottomans and futons as well as furniture throws and coordinating decorative pillows. Sure Fit provides an attractive and affordable solution for consumers who need to protect furniture from children, pets and general wear or want to quickly and cost-effectively enhance the appearance of a room. The company sells through major national retailers, its own website and other channels. For more information about Sure Fit Inc., visit www.surefit.net. At Guardian Capital Partners, contact Scott D. Evans.